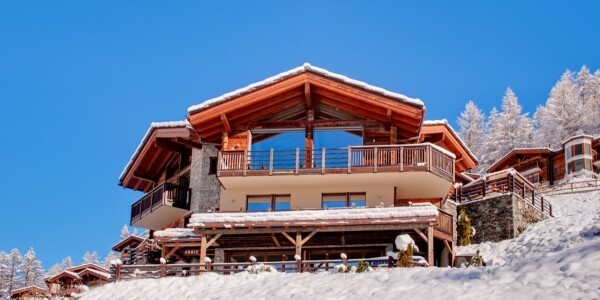 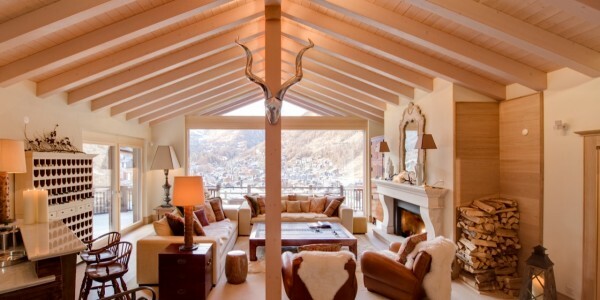 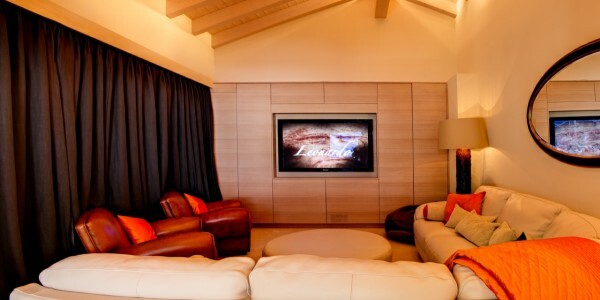 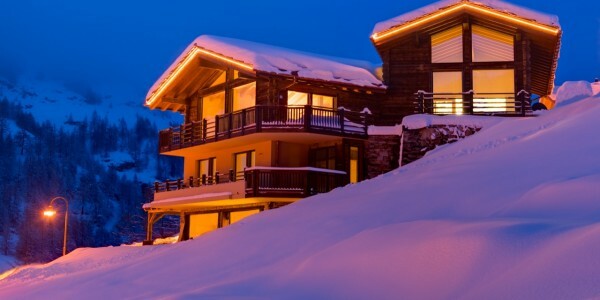 This chic and sumptuous Chalet is built to the highest standard, featuring floor to ceiling windows on all three levels, and a dramatic vaulted interior. 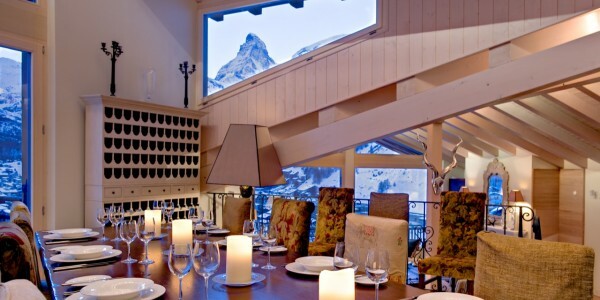 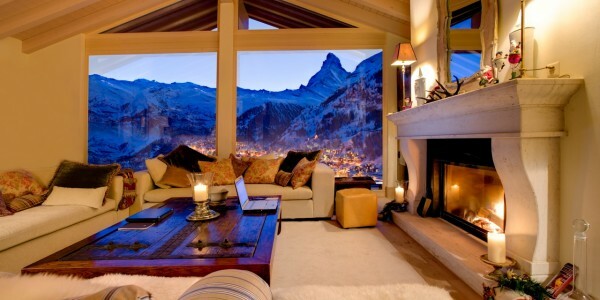 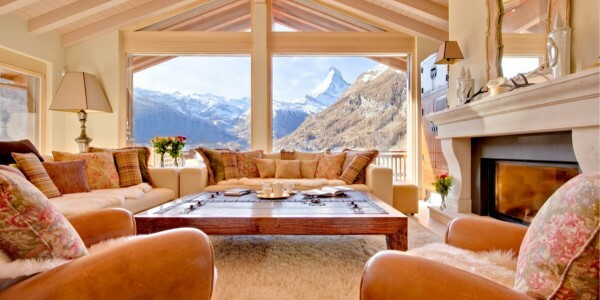 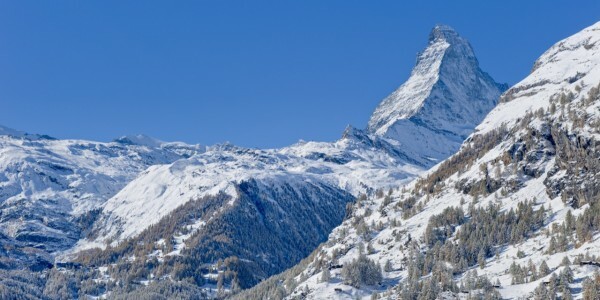 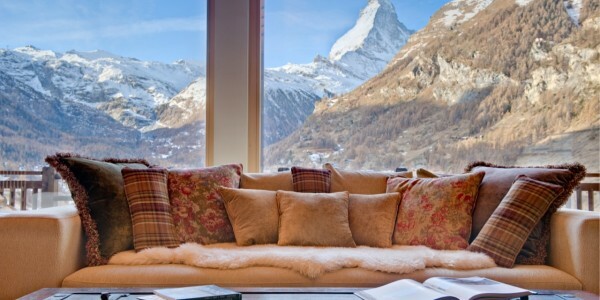 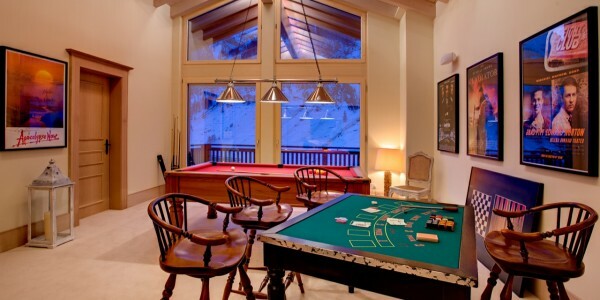 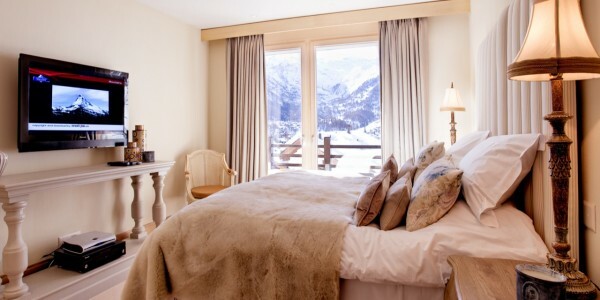 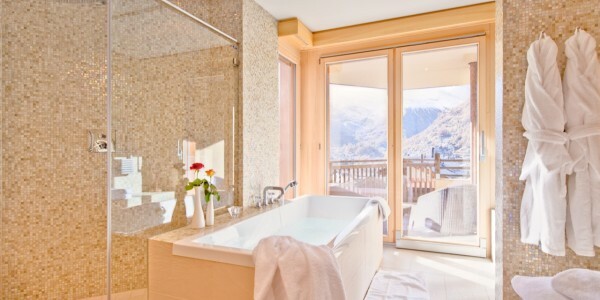 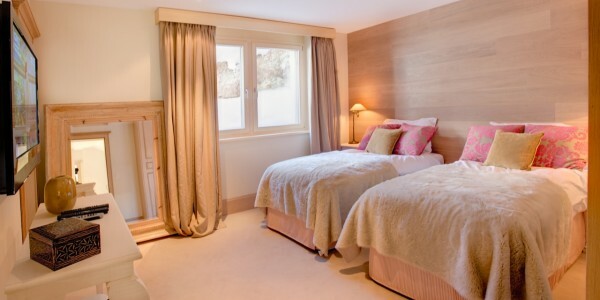 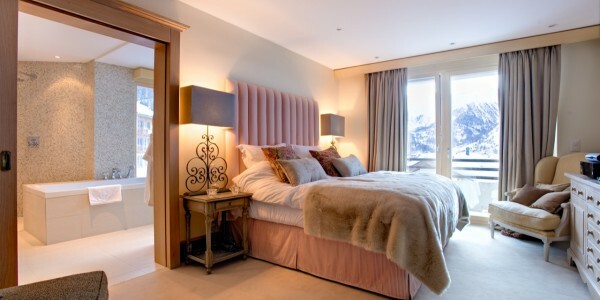 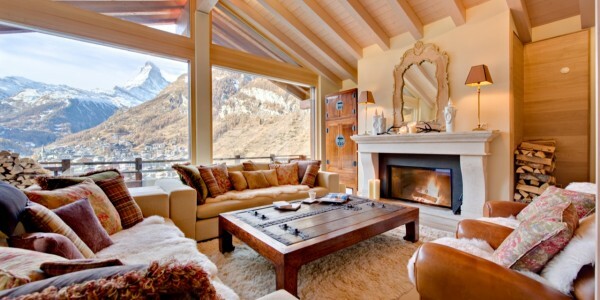 South facing balconies capture the breathtaking scenic views of the Matterhorn and surrounding mountains. 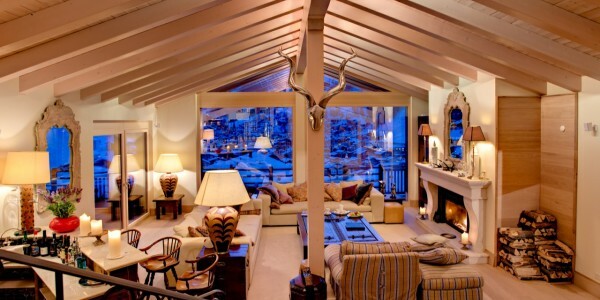 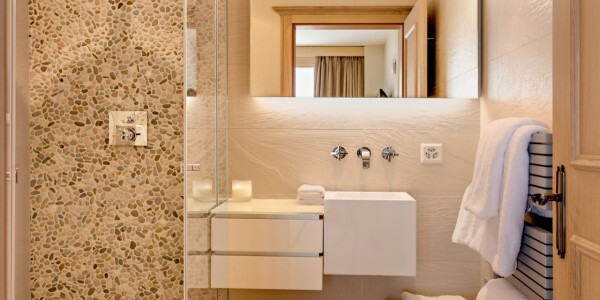 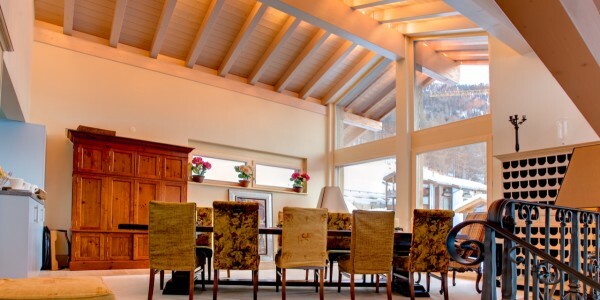 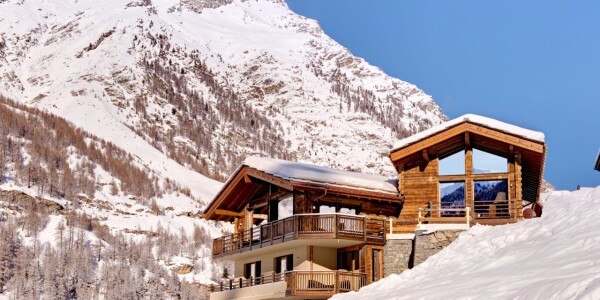 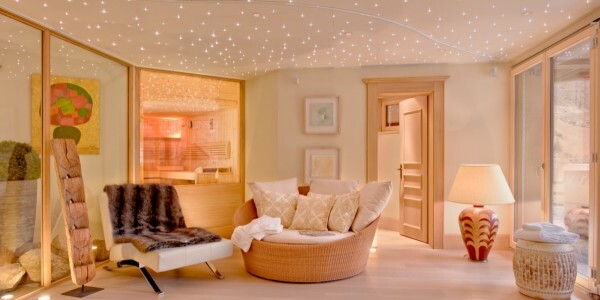 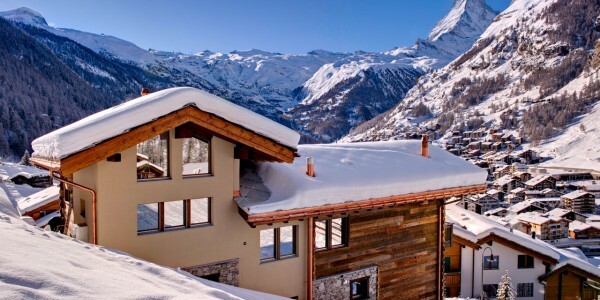 Built on a south-facing hillside in the exclusive Petite Village area, two minutes by taxi from the Sunnegga Express lift and three minutes from the village centre, the chalet is one of the most luxurious and spectacular chalets in Zermatt. 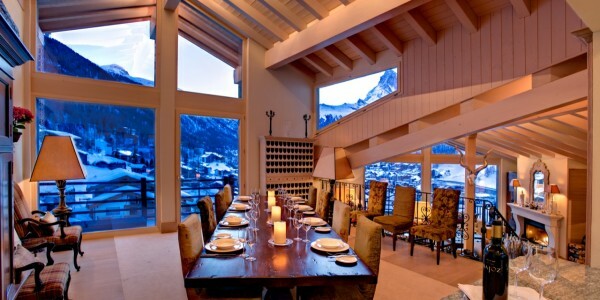 The raised dining room seats 14 people. 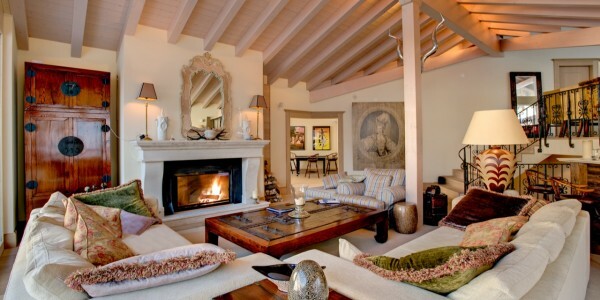 The stylish and comfortable open-plan lounge features a French stone open fire-place and adjoining bar area, opening up to a large outside living space with loungers, tables and chairs. 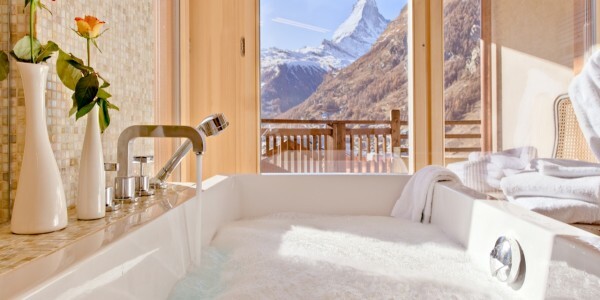 The uninterrupted views of Zermatt town below and the Matterhorn at the end of the valley are spectacular from the picture windows.